As the walled City of Galway lay on the eastern bank of the river Corrib so the ancient fishing village of the Claddagh sat opposite, the river between them flowing into Galway Bay. 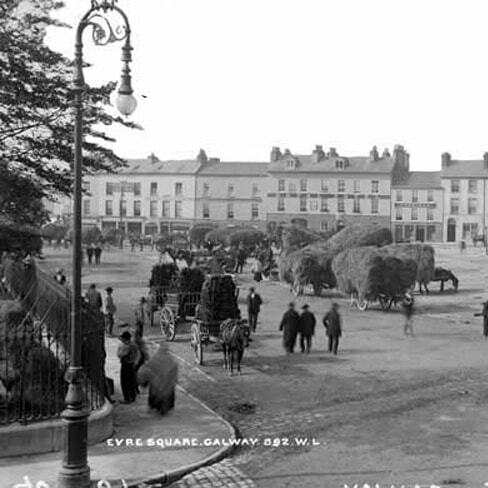 The merchants of Galway plied trade routes that stretched from Galway Bay to places afar and the villagers of the Claddagh were for the most part fishermen, casting their nets wide to bring home a good days catch or boat builders. 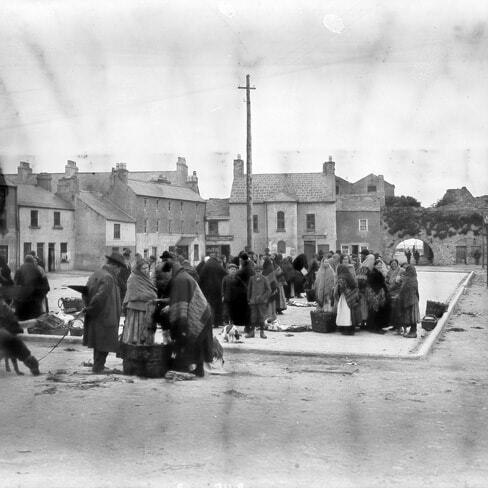 The women of the Claddagh, wearing their traditional red shawls would endeavor to sell the produce at the riverside fish market across the bridge. The life of the people of two very distinct communities, living side by side for many hundreds of years. 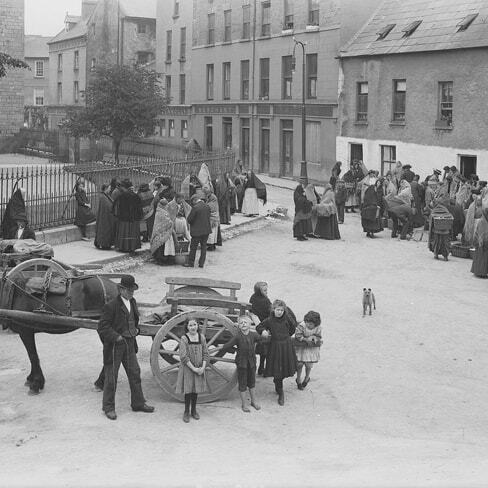 Leading intertwining yet very separate lives, the traditions of one, adopted and combined by the other in the story of the Claddagh ring, in many ways mirrors the story of Galway. 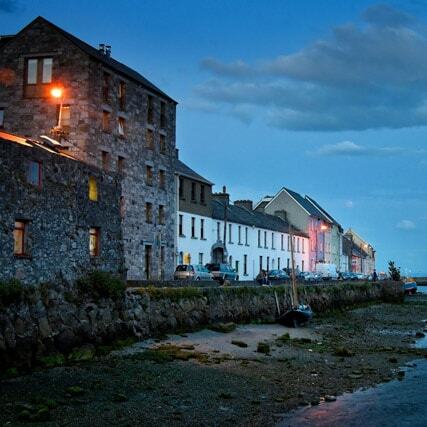 Galway is known for many things: world famous oysters, Galway Bay and the Claddagh ring. Located in the west of Ireland, Galway is a vibrant city and has a picturesque country landscape that includes the romantic landscape of Connemara. Galway will be European Capital of Culture in 2020, and for good reason. The city is a mix of medieval structures and colorful shopfronts. It’s cobbled mainstreet comes alive at night with street music and the rich aroma of delicious foods wafting from it’s many restaurants. There’s a hint of magic in the streets. Whatever time of year you come to Galway, it can almost be guaranteed to be in the midst of a festival of some sort. Afterall, Galway is home to many poets, writers, musicians and artists. If you want to seek a little adventure, you don’t have far to travel. 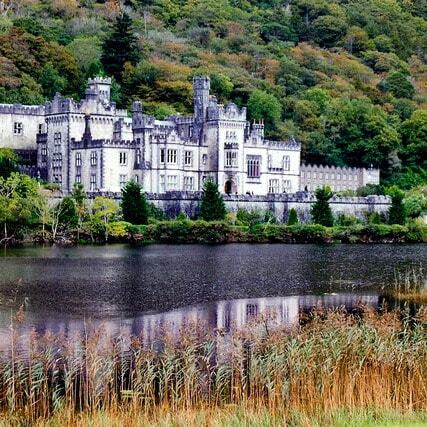 County Galway is dotted with many rolling hills and castles. The bewitching effect Connemara can have on someone is something to experience. It truly is a sight for sore eyes, with it’s wild and rugged landscape and unspoiled beauty. This small place on the west coast of Ireland, at the very edge of Europe is something extraordinary to experience. 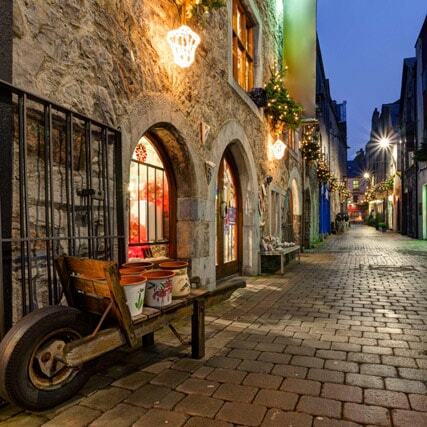 Steeped in history and culture, Galway has evolved into a wonderful melting pot with a sprinkle of bohemian magic on top. Call into Legend of the Claddagh Ring visitor centre Galway and discover more about the Claddagh ring and the town that it came from.